Very interesting plot of Land measuring 262 TWAH on the popular and ever advancing Pratumnak Hill. Land on Pratumnak hill has become very SOUGHT AFTER and extremely HARD TO FIND and over the last 2 decades as the regeneration of Pattaya City continues to spread. Pratumnak is an area which has been at the forefront of Pattaya’s growth offering high end residencies for the current and future clientele of Pattaya, the wealthy! Nestled between Pattaya City and Jomtien Beach, Pratumnak offers it’s own selection of smaller beach coves including the locally renowned Cosy Beach. This area is home to some of the city’s finest eateries including the Sky Gallery and Chocolate Factory with their far-reaching sunset views out to Koh Larn. It’s not all food in Pratumnak, there is also the local attraction of the Big Buddha Hill and Temple which tourists flock to each year and there are outdoor fitness activities in abundance most notably the popular running track around the mountain with bicycle route and the Royal Cliff Hotel Tennis Club. You feel so far from the hustle and bustle of Pattaya Beach Road yet you can jump on the back of a motorbike taxi or the BAHT BUS and you are there literally in minutes from your door. 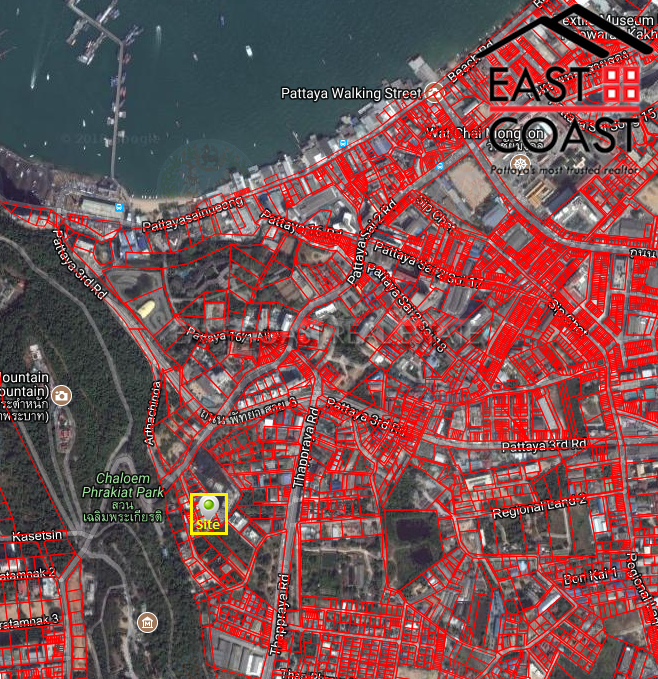 This particular plot would suit either a SIZEABLE FAMILY HOME WITH GARDENS or some sort of CONDOMINIUM DEVELOPMENT. We will leave that to any interested parties and their architects to determine. All we can comment is that plots like this do not come up often and will be continually scarce in the market going forward, so grab it while you can! Ownership in Thai Name with Title Deed available on request. Pratumnak Land. 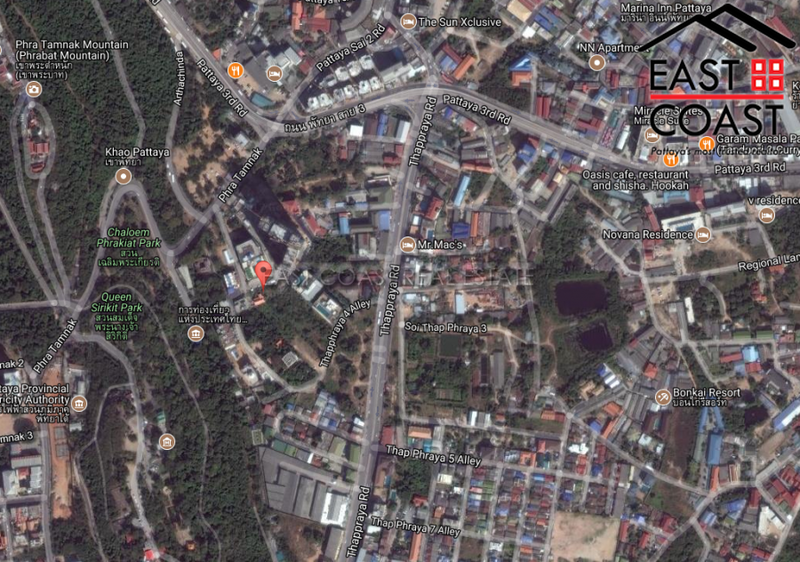 Land available for purchase just off Soi 2 Pratumnak. 66 Wah is available in this exclusive location. There roads water and electric are close by. It's close to restaurants, shops and bars, and just a stroll down the hill to Pratumnak Beach. Available in Thai name, with buyer paying taxes & transfers.